According to the Springfield Police Department, at around 2 a.m. Saturday, a Springfield woman was driving down Memorial Drive at the same time that a train was crossing, causing a collision. Although, it was dark at that time, the woman would still have been able to see the train on the tracks. This area of tracks is not blocked off by crossing arms, but does include a visible “Yield” sign. The Springfield Fire Department removed the woman from her Chevy Tahoe, using the “Jaws of Life”. The impact was fatal and she was transported to Bay State Hospital where she was pronounced dead. There were no other occupants or injuries reported. The Hampden County District Attorney’s Office is currently investigating the situation. The Federal Railroad Administration Office of Safety Analysis offers information on accidents and annual statistics about locations that often see train accidents. When a train and pedestrian or vehicle collide, it is rare that the outcome is not fatal. These incidents occur because the operator of the train may have been negligent, sometimes the driver or pedestrian is at fault too. If the train operator, railroad, or third party was negligent the victim has a case against those entities. There may be liability in the case of the Springfield woman even though there was a “Yield” sign. If the railroad owner, or entity that maintains that track or road, knew that the sign was not always visible and could lead to such an accident they have liability for the wrongful death. Sometimes, even when there are railroad crossings, they may not be properly maintained and still result in a vehicle or pedestrian crossing the tracks at the wrong time. 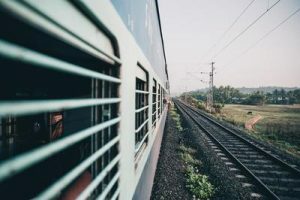 An experienced Massachusetts personal injury attorney, like any at the Law Offices of Jeffrey S. Glassman, with knowledge of train related accidents is imperative in cases like these. If negligence is the cause of your train related accident then you are entitled to compensation for your injuries, suffering and maybe even punitive damages. Call the Law Offices of Jeffrey S. Glassman today at (617) 367-2900 to tell us your story.